Did You Know We Have Vegan Candy? Did you know we carry vegan and gluten free candy? Enjoy all of your favorites without missing out on taste! We carry these types of candy in bulk, so you can indulge anytime. These vegan candies taste just like (or even better) than the classics! For example, the Thumbs Up bar is extremely similar to a Butterfinger candy bar! Like Milkyway bars? Then the Twilight bar is your new favorite. 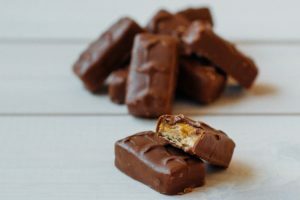 Are Almond Joy’s your go to treat? Then try a Mahalo! You’ll love these all natural, vegan candy bars. 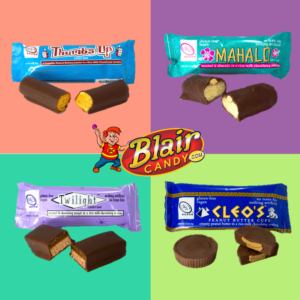 Try them today and order candy in bulk at BlairCandy.com! Don’t Forget Gummy Candy for Gingerbread Decorating! Gingerbread decorating season is here! No matter how you create your gingerbread masterpieces, there are always ways to make the experience even more memorable. You can take a basic decorating kit and add additional gummy candy to customize further! You can go for the classic touches by using more gumdrops as tiles to your gingerbread house roof or to make a walkway. Or, add gummy fruits, like these gummy strawberries, to make a garden for your gingerbread house. Be even more creative and add a pond to your gingerbread house so you can show off these gummy fish! 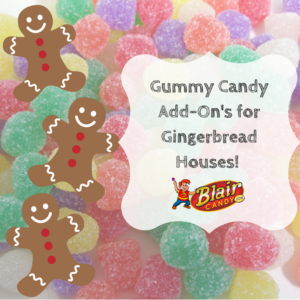 Whether you want to go classic or add a new spin to your gingerbread house, BlairCandy.com has the gummy candy you need to make your gingerbread house be the envy of the holiday! While Black Friday is a great time to shop for the people on your holiday gift list, you can also get some deals for yourself, too. 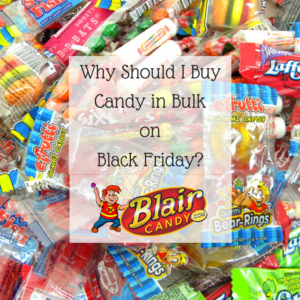 Shopping for candy in bulk on Black Friday is one of those deals! Do you have a household that loves candy? Stock up on all of their favorites during the sale! Candy that you pack in lunches, save for long car trips, or candy you use at the office can be bought in bulk. Also, if you are a Team Mom, your athletes will love an after game treat! In addition to gifts, think about buying some candy in bulk for your household needs. Looking for something different to have at the concession stand? Look no further! Some crowd favorite snacks also come in concession candy form! These fun alternatives are sure to have people talking, trying, and enjoying new concession favorites! For example, everyone’s favorite slushee drink, Icee, comes in a dippable lollipop form! Also, for those who love orange or grape soda, there are sour gummi bottles of their favorite drink. Really looking for something different? These popular gummy mini burgers are sure to have people snacking. You can enjoy the burger all at once, or enjoy every fruity flavor individually. Whichever new concession candy snack you choose, your patrons will love the new addition! 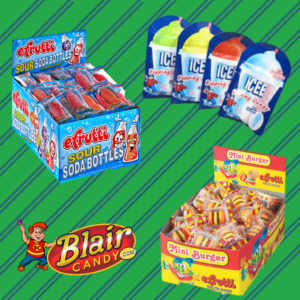 Shop all of our concession supplies, snacks, and candy at BlairCandy.com today! Movie Theater Candy is Perfect for Gift Giving! Movie theater candy isn’t just for the theater! It makes the perfect addition to any gift during theholiday season because of its compact and portable packaging. You can add it to a stocking, pair it with a gift card, attach it to a heartfelt note, or fill up a decorative gift basket with your recipient’s favorite treat. You can even add it to your favorite moviegoer’s present with movie tickets and popcorn! The possibilities are endless when it comes to gifting movie theater candy during the holidays. For all of our movie candy, visit BlairCandy.com today! 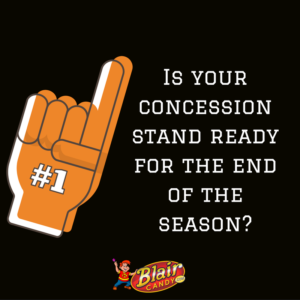 Is Your Concession Stand Ready for the End of the Season? The fall sports season is close to winding down and we’re already dreaming of end of season victories! While your favorite team is on the field, be sure the concession stand is ready for the end of the season too! Ensure snacks and concession candy are stored properly during the off-season. Take stock of concession supplies, such as napkins, utensils, and serving trays. You can even order re-stock early! By taking the time to inventory supplies, store snacks and candy, and clean up you’ll save lots of time before the spring season opener. 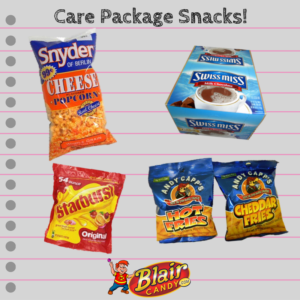 For more on concession candy, snacks, and supplies, visit us at BlairCandy.com. The holiday season is all about spending time with those you love and creating memories. Nostalgic candy is a great way to share family memories with your kids while showing off your favorite childhood candies! A tasting party is a fun way to try these well-loved candies. You can even throw in some candy that you’ve never tried or a new flavor to really mix things up. Who knows, your family might find a new favorite among the classics! We have a huge variety of your old favorites and they’re ready to order. 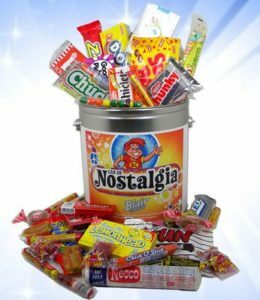 Or if you aren’t sure where to start, order the Can of Nostalgic Candy! It’s 60 pieces of timeless candy. Either way, Blair Candy has you covered to rediscover the candy you love. Candy and Christmas stockings go hand in hand. You can pretty much expect to find some kind of sweet treat in your stocking. Surprise your family by finding their favorite candy in novelty candy form! 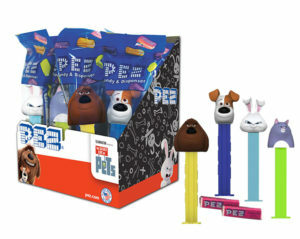 Many of these novelty candy items have their favorite movie and cartoon characters, making it even more special to open. What’s great too is that most of these candy containers are reusable, giving someone an extra gift after they’ve finished their treat. Sometimes these novelty treats only appear around the holidays, so stocking up allows you to get the treat they love and have it on hand all year for other special occasions. 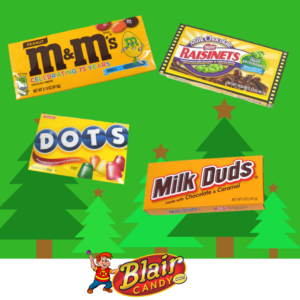 Blair Candy has all of the novelty treats you’re looking for this holiday season! Shop now to get those special stocking stuffers! Reuse Halloween Candy in a Way the Whole Family Will Love! While we’re close to celebrating Thanksgiving, you might look in your kitchen and see that you still have leftover Halloween candy. The holiday season only brings in more scrumptious sweets, so getting rid of what you have to make room for more should be a top priority. While you might think that you only have two options: ea ting all of the candy or throwing it out, there is actually a third option that the whole family will love! Use your leftover Halloween candy in a cookie, brownie, cake, or cupcake recipe! Not sure what to do? We have you covered. Here are 50 recipes that you can use your left over candy, or any candy in general, to make a delicious dessert everyone will love. Sending a care package to a college student is a guaranteed way to put a smile on their face and remind them of home. You can gather up their favorite snacks and candy in bulk to have around and send whenever the occasion rises. Chips, candy, coffee, and tea are just some of the items that students want most. While you can send them at any time, midterms and finals is a great opportunity to send some notes of encouragement while giving them the brain food they need to study! You can shop all of our snacks and candy in bulk online or in our wholesale location. Your college student will thank you!